Looking out for great buys, but afraid to shop at the regular brand stores because you’re afraid you’d be matching outfits with someone else? Say hello to these boutiques that will help you get your hands on some super unique yet trendy styles. If subtle and classy is your thing, head over to this boutique to get your hands on some of the classiest, most elegant fabrics in super cool styles, designs and trends. We’re total fans of their unique kurtas and imitation jewellery. They even have a large range of home décor that includes quilts, cushions, mattresses, the works! We highly recommend this store for those looking to gift a special someone something useful and super gorgeous. This boutique on Linking Road is definitely worth a visit if you’re on the lookout for trendy designs on a budget. Seeing all those latest trends, cuts and styles can get overwhelming but don’t fret because all the designs here are super pocket-friendly. Dresses start at INR 1,000 and they even have party wear, gowns, and accessories. This boutique in Colaba is a hidden gem that will make you that gorgeous dress that you have in mind, from scratch. They’ve been around for over 24 years, and have won themselves a bunch of loyalists who swear by their dresses, shirts and even jackets! They have some of the most quirky and whimsical patterns of fabrics we’ve seen, and we love the fact that they can stitch any dress, with any fabric and any print, to give us our dream dress. #LBBTip- on a budget? You can take your material to them and ask them to stitch your dream dress for you. Get your hands on some high-end brand pieces at super affordable prices at this boutique in Bandra. They stock clothes, bags, sunglasses, denims, and other accessories, and also have brands like Zara, H&M and Forever 21 at extremely affordable prices. We love that they have new stock almost every other day. Visit this boutique in Mulund when you have a wedding or festive function to shop for. We are huge fans of their sari range, and we’ve realised they have a sari to suit almost every kind of taste and personality. They don’t customize, but their unique range of saris don’t usually require any customisation or added work. Saris start from INR 4,500 and go beyond INR 1,00,000 if you’re looking for something for the big day. #LBBTip- book an appointment before you visit. If you’re a fan of handlooms, this is the perfect place to get your hands on some contemporary fabrics within a budget. The old world charm of the store makes this shopping experience even more interesting, and we suggest you head down to get some great summer fabrics now that the temperatures are rising. This 90yr old store sells kurtis, saris, kaftans and salwar suits. 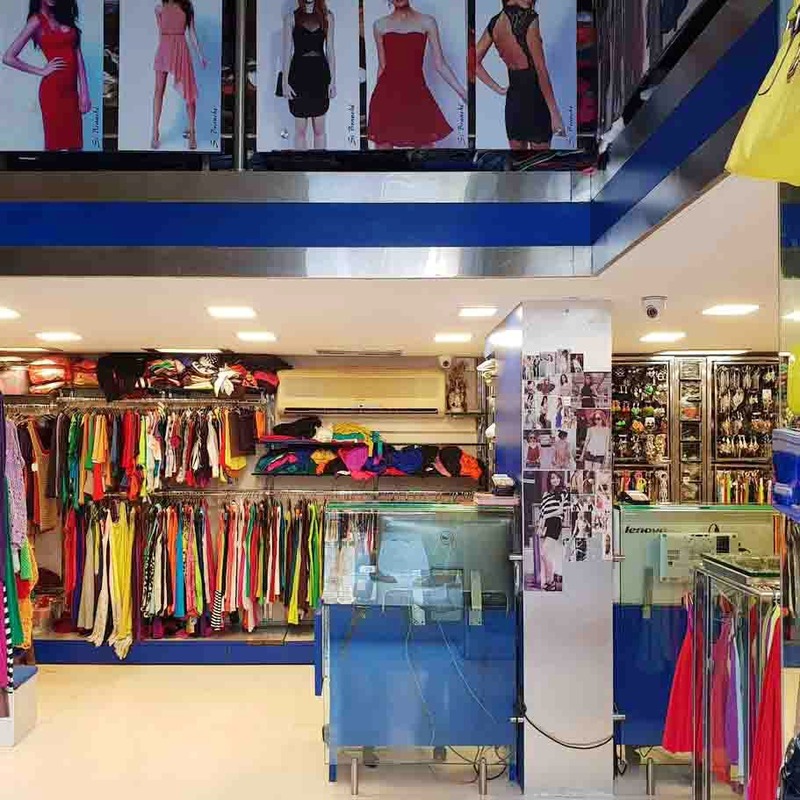 This boutique in Pali Hill stocks outfits for all occasions, be it casual work wear or glamourous party wear. They sell tops, dresses, pants, bags, clutches, shorts, shoes, the works. The collection is extremely affordable, and honestly, our best bet to getting a completely new wardrobe on a budget for this summer. We heard that the owners personally handpick their collection from Bangkok, China and London. This one’s a hot favourite amongst students thanks to a super budget-friendly collection that they have to offer. Visit for dresses, jumpsuits, skirts, shorts, casual and semi-formal blouses, tops and shirts, the work. #LBBTip- they stock pieces in multiple sizes, right from XS to XL. Also, don’t forget to bargain. When it comes to picking up party and cocktail gowns, no one does it better than Nautica. We love the collection, especially because we see some unique, trendy styles which we won't find elsewhere. They also have some Indian bridal wear gowns, and they customise the gowns as per your requirement. Their amazing service wins them brownie points. The range here starts from INR 4,000. If you’re broke but desperately in need of a wardrobe revamp, head over to this boutique to get your hands on pocket-friendly casual styles for both men and women. Check out their t-shirts, shirts, dresses, denims, and so much more, and the range starts within INR 1,000! They cater to sizes that go up to XL (and occasionally XXL). #LBBTip- They only stock clothes, not accessories or shoes.